Home / Moodle / Common Questions / How are students added to my Moodle course? 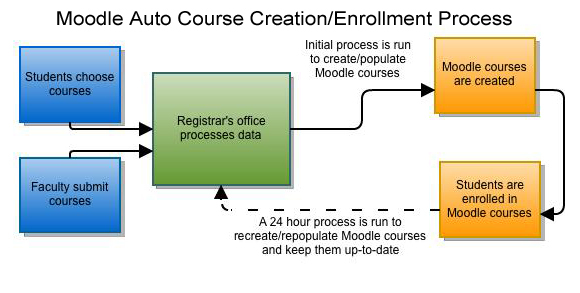 Student enrollment in Moodle courses is an automated process. Each night a script is run pulling data from the Registrar’s office and students are placed in their corresponding classes (see graphic below). 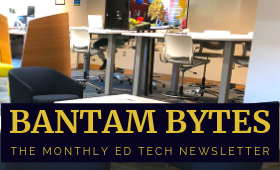 During the add/drop period it is important to be patient as this process only runs every 24 hours and it may take some time for the system to catch up with current class enrollments. In the event a student needs to be placed into a class immediately, you can add them following these instructions.